If you wish to update the name on your account or transfer your account to someone else's name, we're here to help. 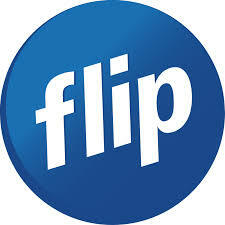 If you wish to update your name on your account with Flip and retain ownership of the account. Send our team an email at support@flip.co.nz, with legal documentation confirming your name change, and we will update the name for you. We can accept your NZ Drivers License, valid NZ passport or marriage certificate as evidence supporting your request. If you wish to transfer ownership of your Flip account to someone else, you will need to follow the process detailed below. 1. Log into your Flip My Account and have the payment method updated to the payment details for the person taking over your account. 2. Navigate to the ‘Update Details’ section and complete the following four fields. Update these fields with the new account holders details. 3. Once you have completed the updates on your Flip My Account. The new account holder will need to give our team a call on 0800 60 83 24 (option 3) and provide verbal confirmation to complete the change of ownership. Feel free to send our team an email at support@flip.co.nz, if you require assistance or support with change of ownership requests.